By Job Accommodation Network for iOS. The MAS application allows the user to enter, store, share and otherwise make available certain information, text, graphics, videos, or other material on personal devices. The user is responsible for the accuracy, security, and integrity of the information entered in the device. All information entered and stored on your device is retained solely by the user. No information is uploaded, shared, or entered in any other data storage service. No agency, including CDI/JAN, public or private, has access to the data you store on your device. No information is collected by CDI/JAN or shared with employers, medical personnel, or other service providers. The user is advised to utilize whatever level of data protection and security on their personal device(s) as appropriate to keep data entered in the MAS application safe and secure. 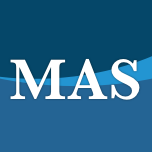 No cookies, website tracking, or data mining technologies are employed by the MAS application. The only record of use or activity managed via the MAS application resides solely on the user’s device, unless they have chosen to upload or share it with a third party. The MAS application does not interact with any other applications on the user’s device except as needed to enter, see, read/review or store/retrieve information. The user retains total and complete control over all data stored on your device(s). However, certain features of the MAS application access the JAN website (live chat, SOAR, etc. ), and in those instances session cookies may be used, and IP addresses and certain device information is collected and logged by the JAN web site. No personally identifiable information (PII) is collected. Log data may be used in aggregate form to generate general statistical analysis of web and chat activity, but again no PII is collected or retained. If you have any questions about using the MAS application or any technologies supporting it, please email CDI-MAS@jan.wvu.edu. The Mobile Accommodation Solution (MAS) MAS application was developed by the CDI/JAN in partnership with IBM Accessibility Research through grant number: 90IF0097-02-00 from the National Institute on Disability, Independent Living, and Rehabilitation Research, U.S. Department of Health and Human Services.